Divide the nangka fruit into halves. Remove the flesh and discard the seeds. Arrange the flesh in a pot. 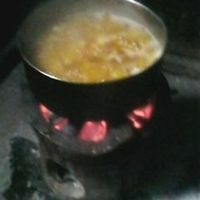 Boil the fruit in a slow fire for 30 minutes. Add the sugar,salt and vanilla. Stir the mixture until it become sticky. Remove the mixture. Let it cool. Store the jam in an airtight container.